A great smile + ms pacman + coffee for mom = happy family! to share the experience with you! Consultations are always free. Houston's TOP Choice for Invisalign! Choosing an Orthodontist for yourself or a child is an important decision. That’s why at Jennings Orthodontics, we strive to offer the latest orthodontic treatment options in a relax and rock-friendly environment. Plus, we provide the most flexible orthodontic financing options in Houston where you’re in control of your payments. Browse our website and learn more about our practice. When you’re ready to start treatment, call or request your appointment online. We look forward to making your orthodontic journey fun & enjoyable! Where Houston Goes for Invisalign! Featured Smile of the Month on Invisalign Website! One of Dr. Jenning’s patients was recently featured as the “Smile of The Month” by Invisalign. We are among a few offices that can correct many challenging orthodontic cases with Invisalign alone. If your doctor has recommended braces and you want Invisalign, come see us. Deciding to get your teeth straightened is a huge decision, however, the rewards remain your entire life. That is why we use Damon, Damon Clear, Invisalign, and Invisalign Teen exclusively. Dr. Jennings is a Diamond Invisalign provider. This means that he has treated hundreds of challenging cases using Invisalign and Invisalign for Teens. Click here to see more before/after Invisalign cases! 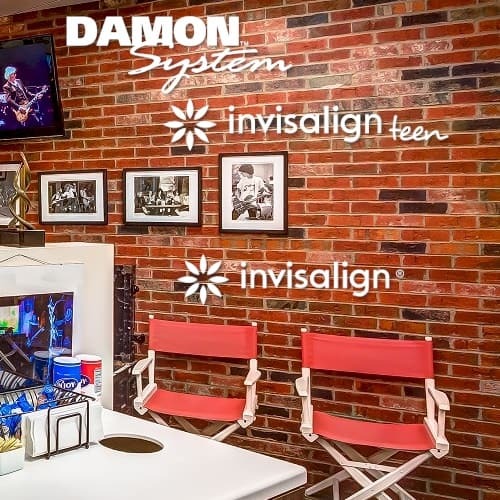 Interested in Damon braces instead? Click here to see our braces before/after gallery! Receive a comprehensive exam and find out if braces or Invisalign is right for you. There’s always something fun going on on our Facebook page. Jennings Orthodontics is at Jennings Orthodontics (Houston). Jennings Orthodontics shared a post — at St. John Paul II Catholic School - Houston. Jennings Orthodontics shared a photo.